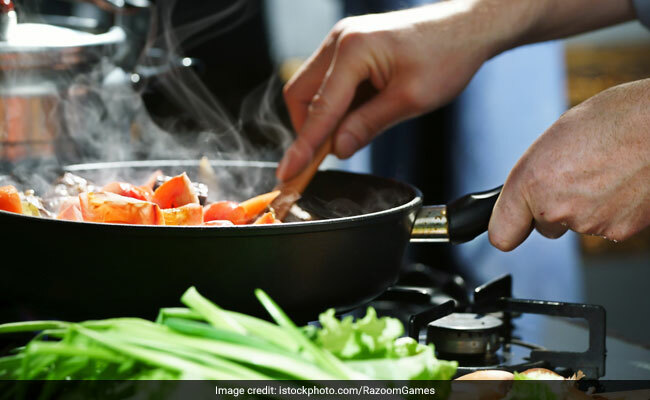 Fatty acid molecules released in the atmosphere during cooking, can enhance the formation of clouds which can further have a cooling effect in the climate. Your cooking may bring about a change the climate of the earth, suggests a new study. Fatty acid molecules released in the atmosphere during cooking, can enhance the formation of clouds which can further have a cooling effect in the climate. In the study published in the journal Nature Communications, the scientists showed for the first time, how the fatty acid molecules emitted from deep fat fryers during cooking can spontaneously form complex 3-D structures in atmospheric aerosol droplets.The formation of these highly ordered structures may extend the atmospheric lifetimes of these molecules and affects how clouds form. "It is known that fatty acid molecules coating the surface of aerosol particles in the atmosphere may affect the aerosol's ability to seed cloud formation," Christian Pfrang, from the University of Reading in the UK. "However, this is the first time scientists have considered what these molecules do inside of the aerosol droplet, and we have shown that they may be assembling into a range of complex, ordered patterns and structures. This means they may last longer in the atmosphere," Pfrang said. For the study, the researchers studied a model system to represent atmospheric aerosol that consisted of individually risen droplets of mixtures of brine and oleic acid, a fatty acid which are associated with cooking emissions. The findings revealed that the fat molecules assembled into highly ordered "lyotropic" phases - crystal-like lattices of spheres or cylinders which can affect water uptake from the surrounding environment- a key process in cloud formation. They further noted that the fatty acids happened to be more resistant to chemical attack by ozone, and thus could survive significantly longer and travel further in the atmosphere, if they adopt these complex structures. This extended lifetimes of these molecules can facilitate droplet growth and greater cloud formation.